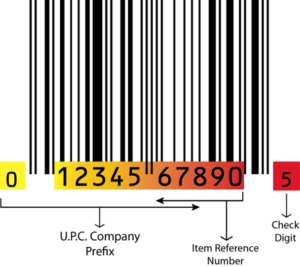 UPC barcode numbers are not random numbers chosen by a brand owner, but a string of numbers which adhere to a global standard which enable products to be sold worldwide. To ensure authenticity and to prevent duplicate UPC barcodes from being assigned, the data in a UPC barcode must contain a UPC (GS1) Company Prefix issued by GS1 to a specific brand, an Item Reference Number assigned by the brand owner, and a Check Digit which is mathematically calculated. Since the early beginnings of UPC identification, we have been the leading authority on creating barcodes with a GS1 (UPC) Company Prefix. Our certified Standards and Barcode Professionals assist and educate thousands of companies each year with item identification and will ensure your UPC barcodes are properly assigned, created, and registered correctly in global databases. For additional information, click here. 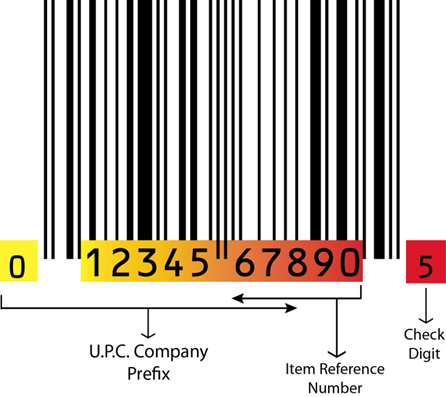 Marking a product with UPC barcode is not a legal requirement, it is a trading partner requirement, which means the company who is requiring a UPC barcode symbol on items being sold is responsible for ensuring UPC compliance. Many large retailers, grocery chains, and distributors explicitly state in their Supplier Requirements that suppliers must obtain a UPC Company Prefix from the GS1. For example; Wal-Mart, Macy’s, Kroger, Home Depot, SuperValue and many other retailers require suppliers to provide a copy of their GS1 Certificate during their vendor onboarding process. Other retailers, grocery chains, and distributors use an online tool to verify UPC ownership.